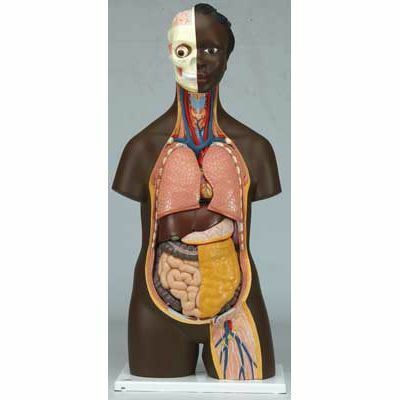 This torso is identical to the B13 Classic torso expect that it has African features. 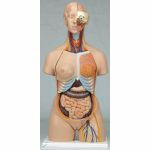 The 14 part anatomically correct human torso is an educational tool of true quality. 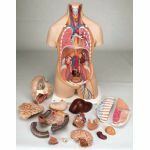 The torso is hand-painted true to detail and made of high-quality plastic. 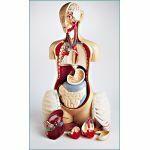 This classic torso was developed and modeled in Germany. 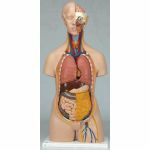 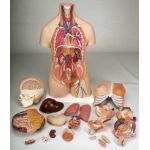 Whether you are student studying human anatomy in a biology classroom or a doctor explaining something to a patient, this human torso is a valuable tool.